I have waited 12 years to see this- that’s how long it has taken me to get down on paper and edit one of the stories I wrote for my children when they were tiny- and then of course, I had to find a publisher for it! I am over the moon to be able to share the cover with you right now!! 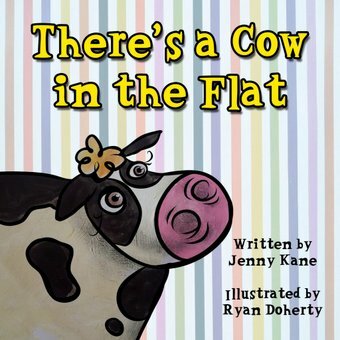 With gorgeous illustrations by the brilliant Ryan Doherty– There’s A Cow in the Flat will be published in eFormat very soon- and will be available in paperback in the near future! More details to follow asap.